Thulirkal – Fashion Trendsetter, Kishanth Raveendran! This week, we’ve brought you Kishanth Raveendran! Kishanth Raveendran, a.k.a Kish, has lived in various places like Oman and Paris before settling in Canada. It was while living in Paris that Kish was influenced to discover his love for fashion. Later on, after attending his first fashion week in Montreal, he knew he wanted to build a career within the fashion industry. Kish has worked for over nine years in planning and executing work to achieve his dream of getting into the fashion business. He started off by collaborating with Grafic Men’s Wear, where he assisted with their ad campaigns, and has now signed on as a personal stylist for their clients. During this enriching experience, he was able to build his profile and develop himself to become a fashion blogger (www.kishstyle.com). Currently, Kish is an instructor at Toronto Fashion Academy where he teaches students the basics on fashion styling. As well, Kish has also been focused on developing his own brand KISH. This is not just about style – KISH intends to express a man pouring his heart and soul into something he is committed to and that is FASHION. Kishanth has made his mark in Toronto and is growing to become a fashion icon within the global fashion industry. 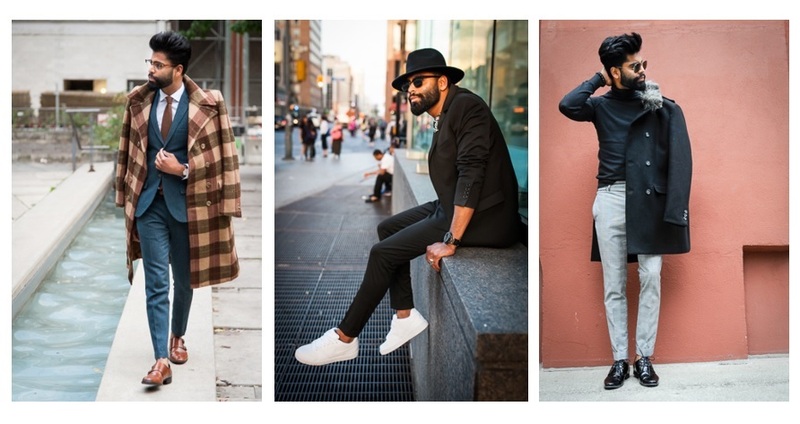 CTYA Blogs: It is generally uncommon for males in the Tamil community to pursue a career within the fashion industry. By breaking this societal stigma and launching KISH, you have demonstrated to be an excellent example of a youth pursuing his passion. What sparked the beginning of your interest in fashion? Since I was a kid, I was always interested in fashion. Of course, it was hard not to be while growing up in Paris, France, which is known to be the capital of fashion. I had adopted a very European style that portrayed classy and elegance, however when I moved to Canada, I felt insecure to continue dressing this way, as it did not seem to be the look here. So, I started following the trends of that time, and dressed myself with an urban, hip hop style (oversized clothing, bandanas galore, timberlands, etc.). But, as time went by, I felt I was being unrealistic and decided to bring back my European style, where I felt more comfortable and happy. My friends and family have always been supportive of my passion and desire to expand my fashion style. They were the strongest pillars of support to give me the strength and confidence to start this journey. I decided it was time to break the barriers within my own community and pursue my career in men’s fashion. It has not been easy but I realized I have one life and I want to follow something that I absolutely love. CTYA Blogs: Tell us about your exciting venture KISH and your vision behind it. KISH is a men’s brand that I am focusing on to expand in every way within the fashion industry. From blogging to becoming an international ambassador for new upcoming designer brands, I am also collaborating with current companies that cater to fashion. I am also formulating ideas for future fashion trends to come to life. My vision behind KISH is to gain great recognition around the world and see the day when KISH ultimately becomes a household name among fashion lovers! CTYA Blogs: How would you describe your signature style? I believe my signature style would be a wide range of looking preppy with a crisp clean look at the same time. My ideas of what I consider stylish are always changing but I still like to keep it very clean – I enjoy the look of dressing wild but being also being prim and proper. I focus on every detail, from my beard to accessories when it comes to getting ready for an event or going out. I like to be different from others and always think of ways I can be unique to look fresh, but also ensure to keep it within my level of style. CTYA Blogs: What are your favorite trends this season? Any style tips for the youth? I currently love the rugged and ripped jeans look! I love how it can be paired with something as classy as a tie and blazer, or can be dressed down with a simple tank or t-shirt. CTYA Blogs: What advice would you give to your younger self? Follow what you love and be proud of who you are! CTYA Blogs: Being a stylist, do you feel the pressure to be the best dressed in the room wherever you go? Yes, I do feel a bit of pressure at times but I love the feeling when people compliment my style. I embody my love for fashion with the way I dress – it helps identify who I am and people recognizing that makes me proud. our future leaders; they are the children of warriors who were brought up within a huge conflict, and had to leave their beloved homeland to provide a safe and better life for their families. I want our Tamil youth to continue our culture and embody our identity with pride and respect. And why not add a mixture of fashion with it? I want to thank everyone who has been supporting me throughout this amazing journey I have been privileged with, and there is more to come! So please don’t forget to follow me on social media to keep up to date: www.kishstyle.com, Facebook, Instagram, and Twitter. Thank you for joining us today Kishanth! We wish you the best on all your future endeavours! This entry was posted on Friday, February 13th, 2015 at 12:27 am	and is filed under Thulirkal. You can follow any responses to this entry through the RSS 2.0 feed. You can leave a response, or trackback from your own site.